Many thanks to Crosire (ReShade developer), Lucifer Hawk (GemFX developer), CeeJay.dk (SweetFX developer), Marty McFly (MasterEffect/McFX developer), Ioxa and JPulowski ! Thanks for this. Though all the suggestion topics, apart from statistics positioning were actually answered. 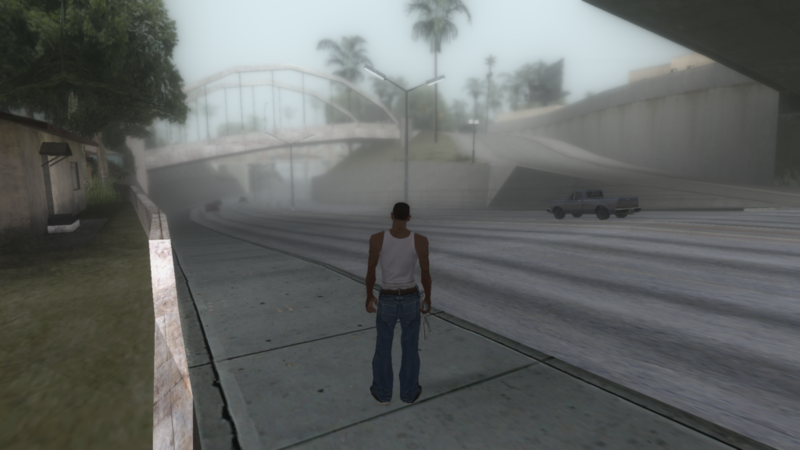 --> So we do have for ReShade Framework v1.0: a VHS Shader, SSF Filters (Sega Saturn Emulator filters), HQX and Median Filters, volumetric floating dust particles, fog/ mist shader, Reshade ingame UI, Rain Effects, screen smoke-effect, volumetric clouds, Option to chain load another proxy dll and Triple Buffering ? --> I can honestly say, I do not see those solutions anywhere in this forum, and when I look to those referred topics, Im not the only one, it would be more than great to help me seeing those solutions and I really hope one of the ReShade devs team can provide us with some real answers, it would be nice to have some answers from the devs this time on the mentioned topics. I was talking about the topics in the suggestions category. Its a good list for an overview! However, most of these do not require simple answers but implementations (thats also your personal expectation). We currently have far less shader devs than users that request new implementations (which is by the way great and just as important). We also cannot work 24/7 on anything here, its a hobby and free time for all of us but we do appreciate those requests/ideas as what they are. Please understand that we have to do things on our own pace and again, thanks for the list and effort put into it cause with above facts something like this can come in very handy to keep track! --> Yes me too & it is not an attack or whatsoever, its giving feedback, opening a discussion about this, we are "invited" as ReShade-user to give feedback / suggestions in the suggestion topic but when we do than nobody is home in those mentioned topics above, to my opinion its better to receive a "no" than a "nothing" otherwise whats the whole purpose of the suggestion topic (?) And by the way all "zero-answered" topics are in the suggestions category. --> Thank you LuciferHawk, I truly appreciate and see the time and work you & the other devs put into this awesome ResShade project, Im glad you see it as positive feedback, as you appreciate our appreciations towards your work and time you put into this project, the users who give feedback / suggestions would appreciate it if their questions are looked upon it in the suggestions topic category, otherwise its like talking to a wall, nobody like that, than a discussion is bleeding out and for an open forum thats not a good thing. By the way are you still planning to add Anamflares vertical positioned [reshade.me/forum/shader-discussion/931-f...ions-missing-options]? --> Could you devs look deeper into the problems many opengl games like Quake IV, The Chronicles of Riddick - Assault on Dark Athena, Doom 3 encounter while the ReShade Compatibility List says: perfect status..? As said, I'm very thankful for the list . I was just pointing out that the topics in the suggestion category you listed were already answered. And yes, I'll see what I can do about those few OpenGL games. That's partly implemented. But it doesn't work if you switch between exlusive fullscreen and your desktop, because that resets the Direct3D driver and requires recreation of all resources (which includes recompiling all shaders). ==> Already implemented as best as it can be. That's not easily implementable in case of ReShade unfortunately, see reshade.me/forum/shader-troubleshooting/...ct-how?start=12#1344. ==> Impossible to add easily. So not going to happen unfortunately. ==> This was indeed not answered yet. It's a good idea and may be added in the future. ==> As mentioned in the reponses, ReShade forced triple buffering in the past, but it caused issues with some games. So it was removed again and won't come back.